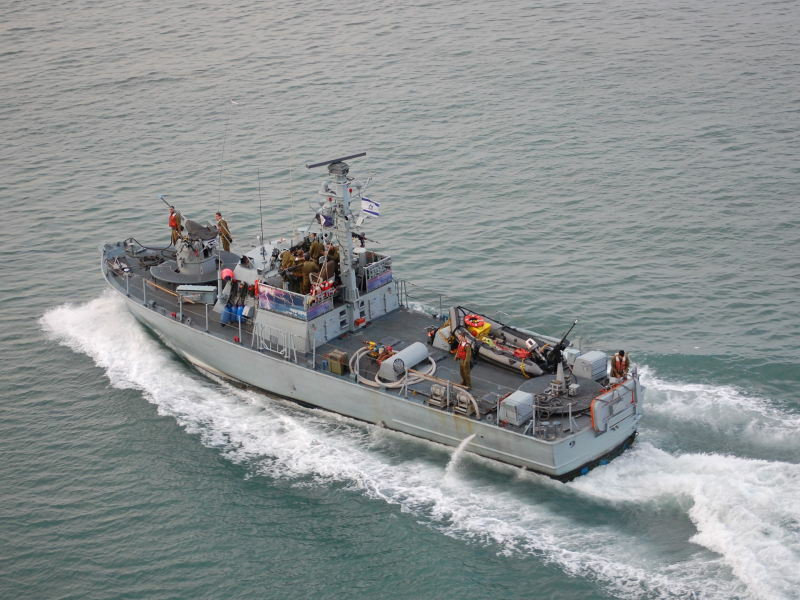 Israeli navy Super Dvora Class Mark1 patrol boat P814 speeding into Haifa harbour on Feb 23rd,2011. These boats are an Israeli design and were also built by IAI-Ramta Colombo Dockyard Ltd.of Sri Lanka and gross 45 tons and can make 37knots. They are armed with an Oerlikon 20mm cannon and 2x12.7mm Gen Purpose Machine Guns. This photo has been shown 1,817 times since it was added to the site.